With all of the breakthroughs in modern technology lately, being a business owner has never been more exciting. You have ultra-fast internet connections, biometric security, super-fast computers and smart devices, and pieces of software designed specifically to track time. Time tracking software is currently one of the most in-demand pieces of software in businesses large and small, all over the globe. For this reason, people often look into finding the best mileage tracker app in the process, for times when they, or their employees, are out on the road. That however, is just one piece of the puzzle, as there are so many different elements involved in creating a successful time tracking process as part of your business structure. If you get it right, boy will you reap the rewards. Fail to do so however, and it could prove very costly. Here’s a look at several common time tracking errors and what you can do to avoid making them, and also how you can easily have time reporting and mileage reporting in the same solution. Ironically, if you happen to spend too much time focussing on time tracking, it can sometimes result in you becoming less productive. Yes, that’s right, a tool designed to boost productivity and efficiency can actually slow you and/or your employees down in some cases. As you know, time is money in the workplace, so you literally cannot afford to waste time on matters that don’t need to be overly complicated. When employees focus on time tracking, their minds wander, and their work rates actually slow down. To log your work for the day, ideally it should take a few minutes, possibly less than that. You should ensure that you provide error-free, accurate, and easy to understand data that your project manager can easily go through and do what needs to be done. Remember, the idea behind time tracking, including mileage tracking, isn’t to spy on your employees and to make sure they aren’t wasting time or resources. The idea is to use the data collected to get an overview of how your business, and your employees are performing. You want to be able to easily access the data and see where additional help may be required and where you and your team are performing strongly. You don’t want to be scrolling through email after email, and page after page, looking into every single aspect of your company’s performance. When it comes to time tracking and you also want it to include the best mileage tracker app, or a simple and streamlined system for the workplace, you always need to have the trust of your employees. Once the trust is gone, morale suffers, and so does productivity. This, as you can imagine, is a very big problem in the workplace. Say for example, you tell employees that are regularly on the road, that you have looked into utilizing the best mileage tracker app you can find, initially they will feel as if you are spying on them and they will be hesitant. They will feel as if you are basically denying them the use of the vehicle for anything other than business purposes. Be clear that that isn’t the case. Explain that you understand they may need bathroom breaks, food stops, and detours, and that they may even need to perform the occasional personal errand. Tell them that as long as they don’t take liberties, that the app is basically there to help get a rough idea of mileage covered to help deal with accounts and expenses etc. as well as to reimburse them for any expenses. In the workplace, explain what the key benefits of time tracking are, and explain that it isn’t a way of keeping tabs on your team. They will be hesitant, but they will quickly see how easy it is to use, and how effective it really is. Ironically it may actually leave them with more room to breathe so that they aren’t rushing to meet deadlines. Another very common mistake that business owners make when using timesheet software, is failing to offer their employees training and support. Remember that for some time tracking may be a fairly new concept, and it can be a quite daunting prospect to employees when they think about what they have to get their heads around. However, the reality of time tracking is that it is actually pretty simple to master if you get the right solution, and you need to show your employees this. Don’t just offer them a quick 30 minute Power Point presentation on how to use time tracking, make sure each employee understands completely how to utilize it. Offer the training necessary for the teams, or offer one-on-one training to ensure there are no mistakes and that there is no confusion. If employees are not sure, offer to take them aside and show them how to utilize the software every step of the way. If employees don’t know how to use time tracking software, mistakes can be made, their productivity will suffer as they’ll worry, and they’ll probably find themselves wasting time trying to fill the sheets in correctly, and work out which data to enter, when they should be working. It will take a few days to get the this new routine in place, but once everybody is clear on how it works, things will become much easier. As mentioned previously, mileage tracking can be just as important as time tracking software in the workplace. More and more businesses now require employees to be out on the road, driving from city to city, all over the country. As an employee, when you have employees out on the road in company vehicles or their own vehicles, you need to know where they are going and also the distances. Knowing exactly how many miles your employees are clocking up isn’t primarily important for knowing what employees are doing on business time, it is more important in regard to your taxes and books at the end of the financial year, as well as mileage reimbursement for employees. 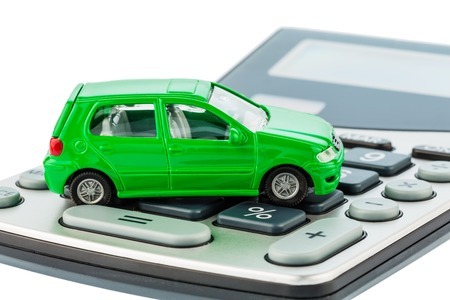 Being able to prove exactly how many miles each employee has reported will help you claim back some money on expenses such as fuel allowances etc. and you can also reimburse your employees if necessary. This is where it pays to find the best mileage tracker app that you can. Don’t just settle for the first app you come across, do your research and find one that really works for you and looks promising. Ideally you want one that also has time tracking, and which integrates with the Outlook Calendar, as that way you can keep everything nice and organized. When it comes to running a business, one of the worst things you can do is fail to hear out your employees and listen to what they have to say. It may sound bizarre but there are plenty of business owners and managers out there that think they are always right and refuse to listen to what anybody else have to say. They take the mentality that it is basically ‘my way or the highway’ and that’s just bad business. A company is only as strong as its weakest employee and if your employees are struggling, or if their morale is low, your business is far less-likely to succeed. When you begin using time tracking software in the workplace and also track mileage, don’t just shut your employees out, call regular team meetings, sit down with them, and listen to what they all have to say. Ask them how they are finding using the solution, and encourage them to raise any questions or concerns they may have. Ask them what they think could be changed, and ask them what they like about the time and mileage tracking software as well. Remember, any feedback or criticism is helpful, as long as it’s constructive. When it comes to time and mileage tracking software, it’s important that you only allow project managers, team leaders, and yourself, obviously, to create activities and projects. You may think that granting this ability to everybody will help cover all bases but in reality, all it will do is create one big hot mess that is far too complicated. Only people in positions of authority should have the ability to create activities and projects, otherwise you are basically allowing your employees to pick and choose what they do and do not work on. Project managers and team leaders should be granted this responsibility, not every single member of staff. By granting members of staff in authority this power, it allows tasks to be delegated to the most suitable candidates, rather than the most convenient. Basically, it allows you to play off of your team’s strengths and weaknesses, which benefits the business hugely. Remember, when it comes to tracking time and mileage, the idea isn’t to monitor every single minute of every single day when you’re at work. The idea is to get an overview of how projects and deadlines are coming along, and at how the business and employees are performing on the whole. Don’t think that you need to work faster than usual to get a ‘good report’ just do what is expected of you and what is realistically asked of you, and grant your employees that same courtesy. We’re all allowed a break now and then when working, in fact, breaks do you good. As far as the best mileage tracker app goes, the same principle applies. Don’t be afraid to stop for a coffee and a bite to eat on your way to meet a client, as we are all entitled a rest from travelling, especially on long journeys. So all in all, when looking for the best mileage tracker app, find one that integrates with your time reporting system, so that you can report mileage on the right project and organization, and find one that integrates with your Outlook Calendar. This will make everything so much easier for everybody.